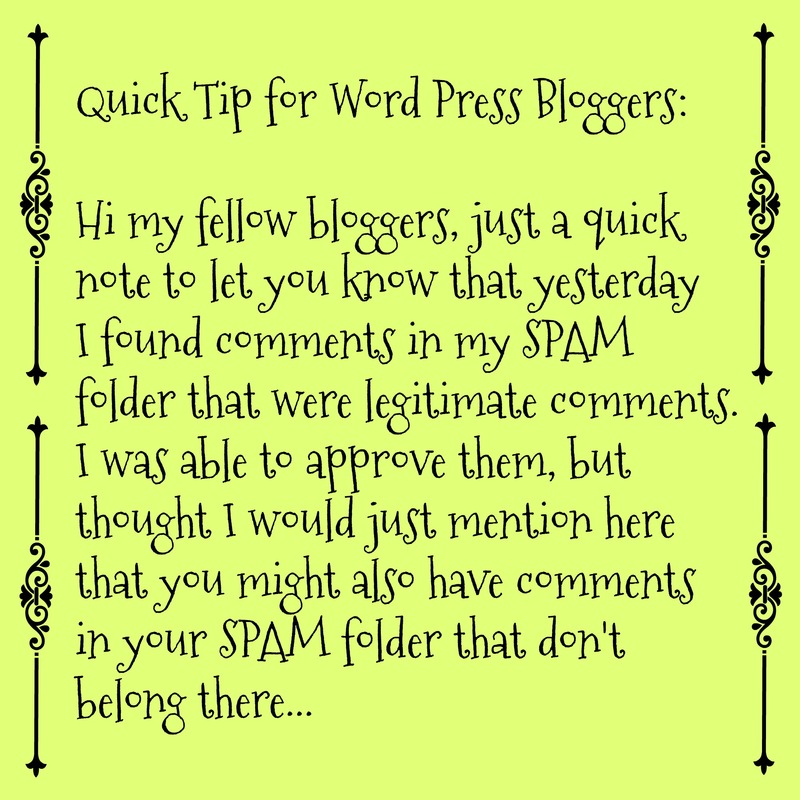 I know that my comments have been thrown into SPAM on some sites recently, or WP deleted them. They disappeared as soon as I entered them. Your post tells me I am not the only one this is happening to. Yes, I do have to check my SPAM folder when I go in. I sometimes find people who don’t belong in there. Lavinia, you might want to contact wordpress about it because I just pulled this comment out of my spam folder. I’m going to have to start checking every day. Thanks for commenting, it will help keep me more alert to check the spam folder. It is not all sites, and I think it may be somehow related to the theme the blog that is putting me in SPAM is using. I did fill out a WP problem report, and I am waiting for someone to get back to me. Hopefully it will get straightened out on all sites. I wonder how many people it happens to and they never know. Did it happen again ? It happened in October and my comments went into your spam folder. I thought I had been “unfriended”.